Dreaming with a new kitchen? 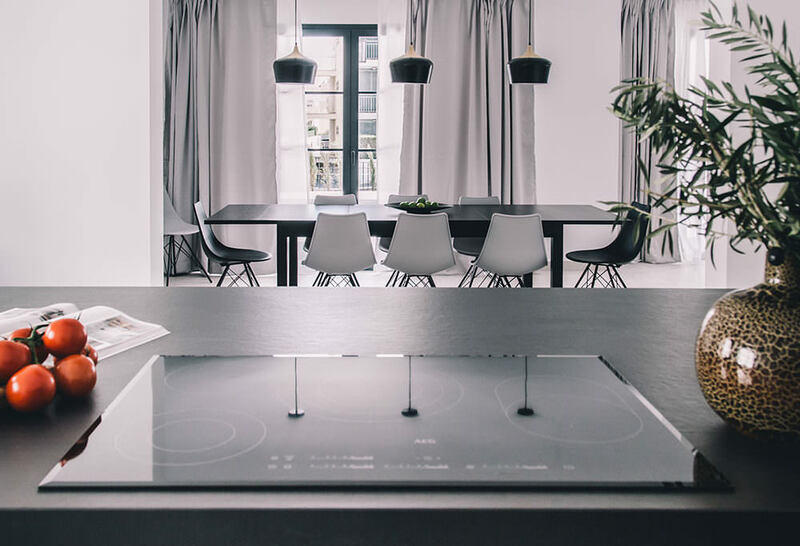 For the luxury kitchen of your dreams we can give you various design options, a wide range of models and 3D renderings that give you an excellent impression of the finished product. We prepare and oversee a wide variety of instalations and are yet to have a complaint regarding the standard of our kitchens. We work with many brands and thus can always find one to suit your budget. Choose the style that suits your property or personal taste from the photos and renderings, if you see a kitchen that you particulary love just contact us, we can make it happen in your property. If you already have an idea of what you like and have your ideas clear for your kitchen then send us your inspiration photos or a moodboard and we will start on a design to suit your style. Mallorca is sinonimous with luxury and sophistication, and that’s why we work with some of the top brands in kitchen design and production. If you would like to know more about our services, customized renderings, or you wish to obtain quotes for a kitchen replacement or a complete renovation then please contact us.